‘Thankyou for the magnificent Sculpture Greg it gives both Alice and myself great pleasure, we now have our ‘Tally-Ho’ in its correct place now with its correct lighting. 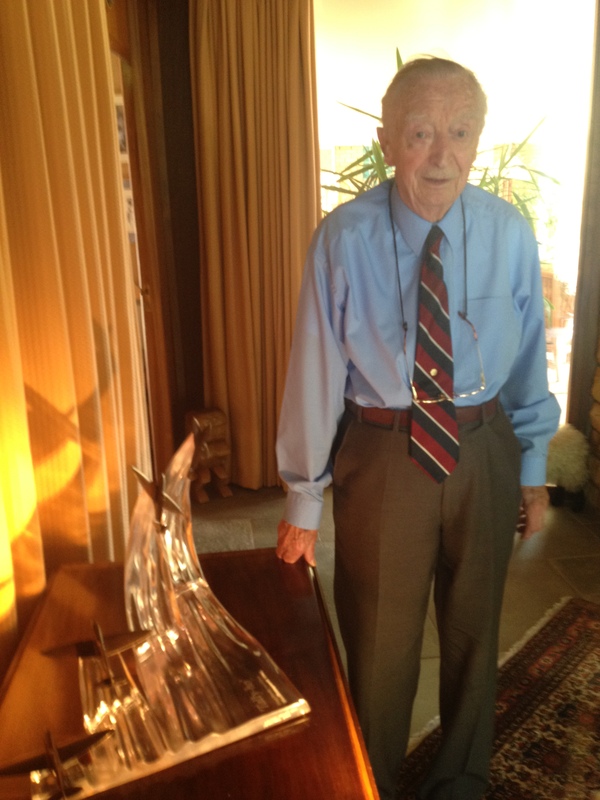 Sir Alan Smith, who has died aged 95, flew as Douglas Bader’s wingman during Fighter Command’s offensive over northern France in the spring and summer of 1941; he went on to become a fighter “ace”, destroying at least five enemy aircraft. He flew with Dogsbody Section from Goodwood RAF Westahampnett during 1941 #goodwoodl The photo shows Sir Alan in North Africa where he became an ACE. 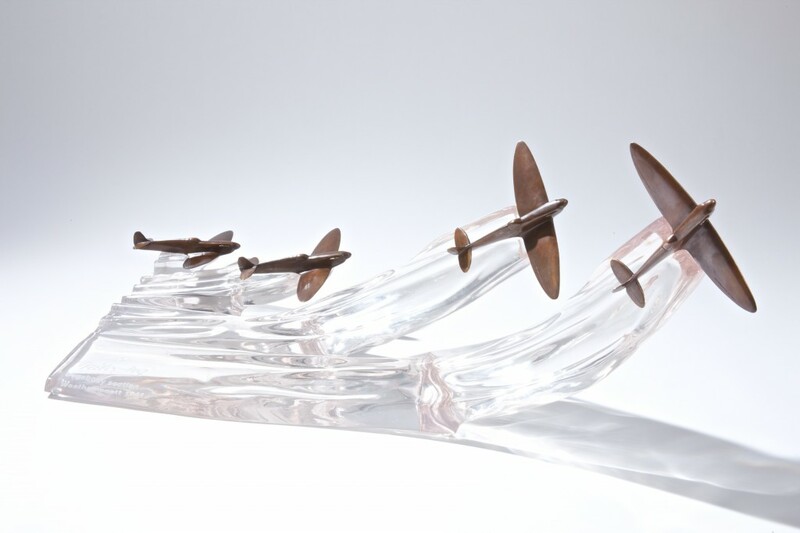 This piece pays homage to the brave pilots who flew so gallantly during the Second World War, providing a snapshot of Douglas Baders ‘Dogsbody’ section flying from RAF Westhampnett during July of 1941. The four Spitfire’s of Douglas Bader, Alan Smith, Johnnie Johnson and Cocky Dundas follow the call of their leader, Bader… ‘Tally-ho’! 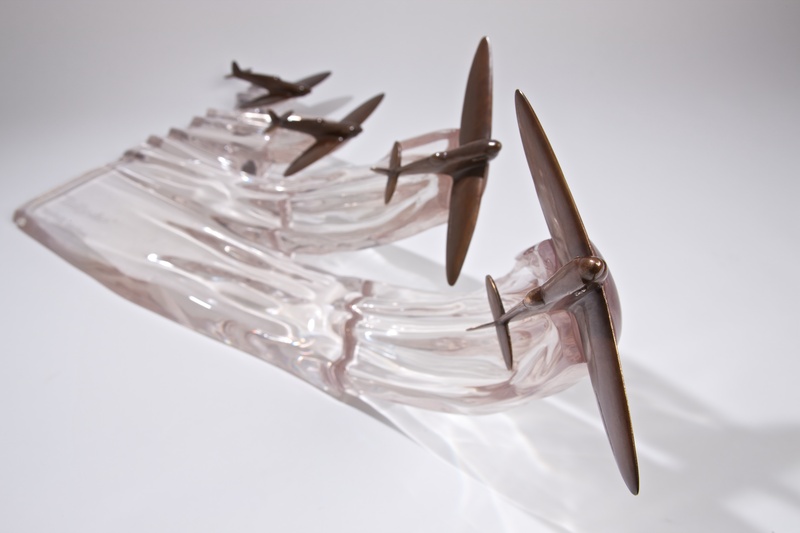 Each solid bronze hand cast Spitfire is individually polished and patinated and has a wingspan of 18cm. 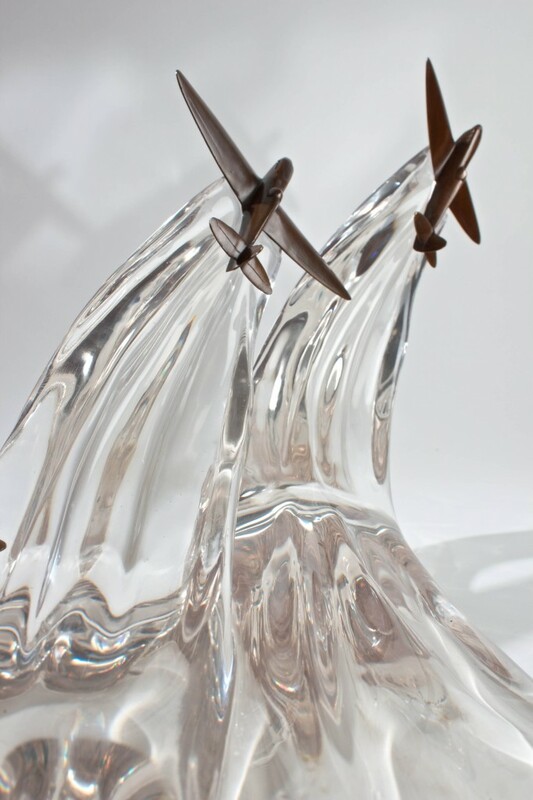 When creating the original sculpture of the Spitfire, Gregory sought to produce an instantly recognisable impression of a ‘Spit’ in representing the Spitfire MKIIa. This sculpture work took 2 weeks of crafting before the moulds could be made to cast the waxes. These pieces were then sent to the foundry for the lost wax investment casting process. 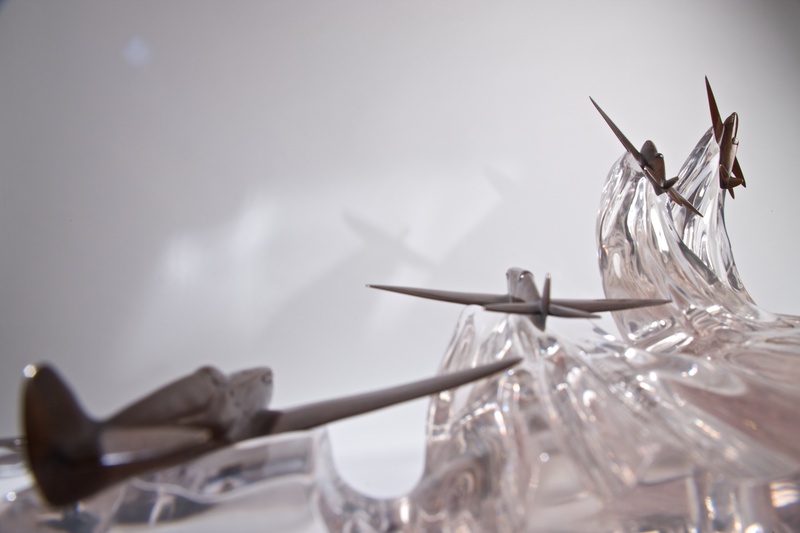 The base is also cast by hand from moulds using 5 kg of glass clear casting resin, a further 6 days is spent on final finishing and polishing. 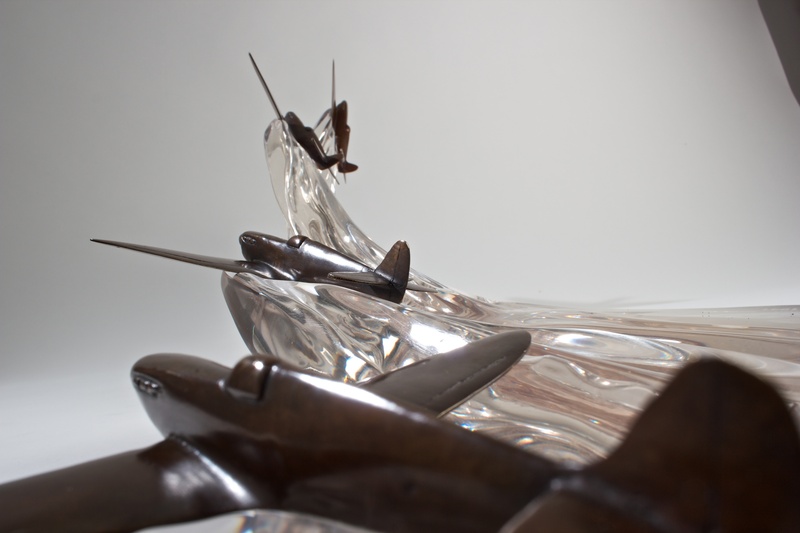 This initial sculpture took 5 weeks to complete and is made using woods and sculpting clays to acheive the ‘flow of air’ required. 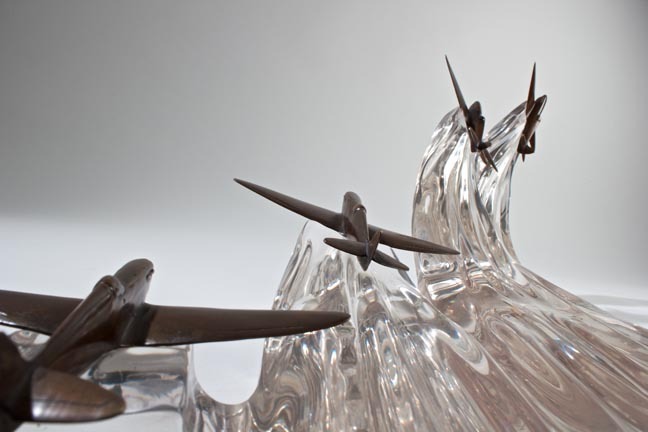 Gregory believes that he has created a particularly unique piece, true to his intention of conveying a kinetic/moving subject in a sculpture that captures the flow and excitment of flight. 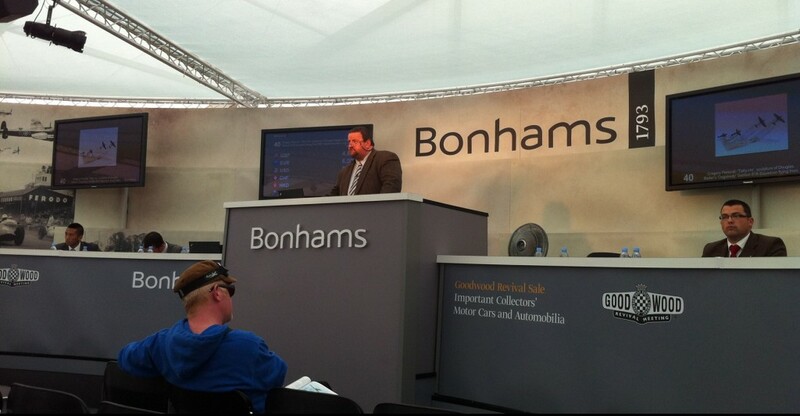 The first artist’s proof of this Sculpture was donated to the RAFA Wings Appeal, and was auctioned at the Bonhams sale, Goodwood Revival in September 2012 for £7000 inc premiums with all of the proceeds going to RAFA. 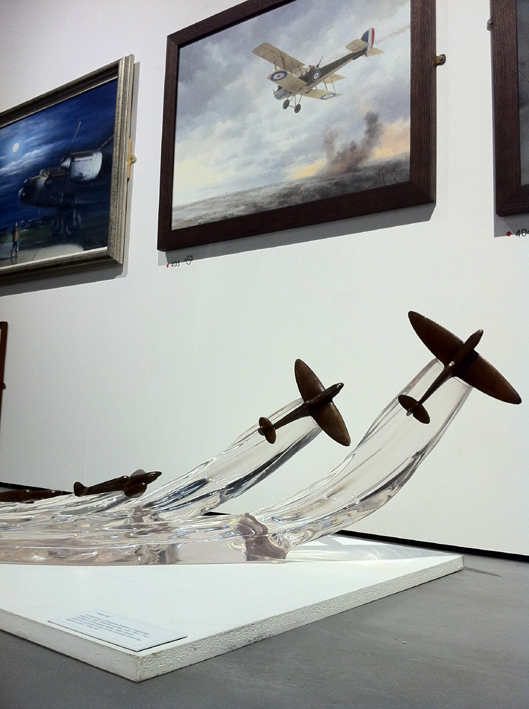 The Guild of Aviation Artists annual exhibition at The Mall Gallery, London, July 2012.